I received a very nice little parcel from Detroit Grooming company, inside was a tin containing five 0.5 fl oz. 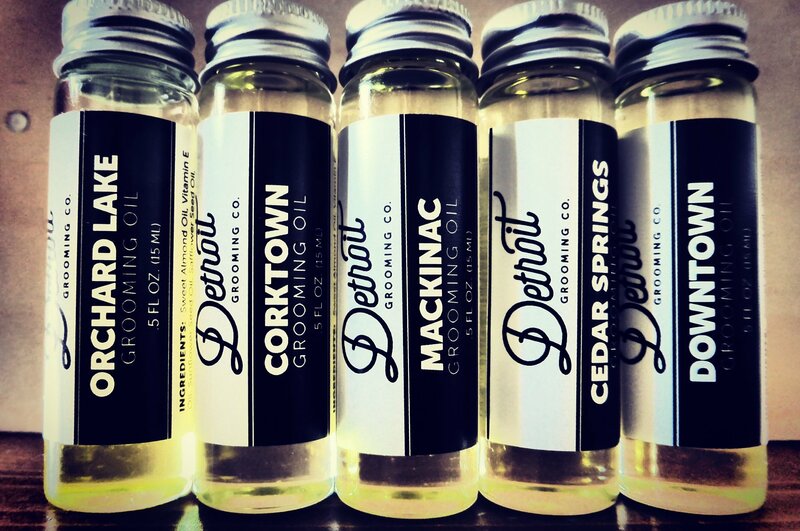 (about 15ml) bottles of their Beard Oil for review and one was Detroit Grooming Co ‘Orchard lake’ Beard Oil. ‘The Orchard Lake’ an oil named after a 795 acre lake in Michigan with an island that is 35 acres and has an Orc myself. hard planted on it. This oil is a burst of freshness, Orange and Vanilla essential oils on a blend of Sweet Almond, Vitamin E, Sunflower Seed, Safflower Seed, Rice Bran, Apricot Kernel, Avocado and Wheat Germ carrier oils. 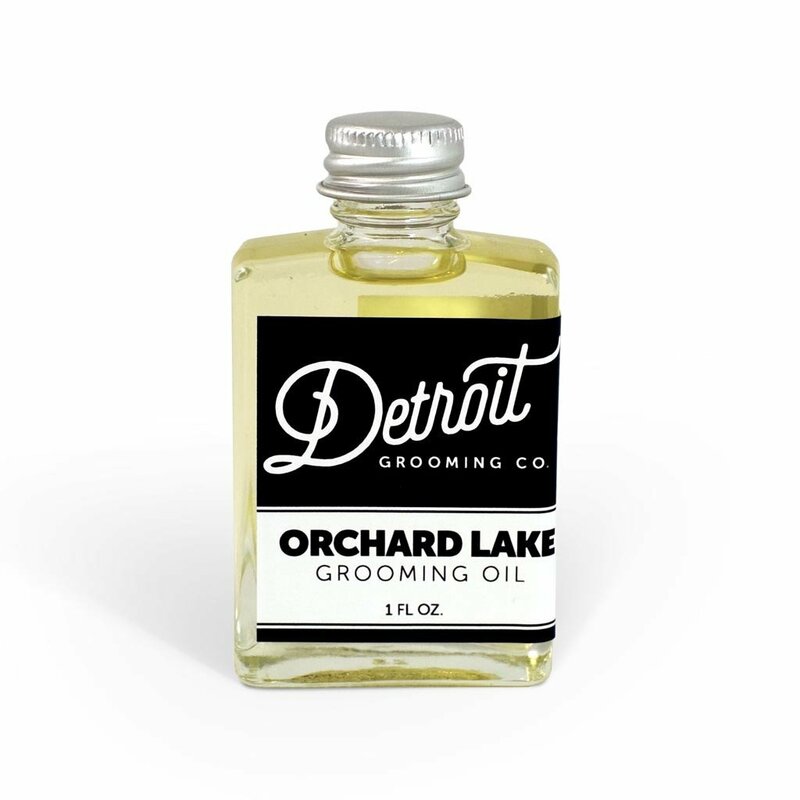 ‘Orchard Lake’ smells incredible and keeps your beard smelling good all day long, its eight hours since I worked some into my beard and if I lift my moustache to my nose, its still smelling great. The oil is a light oil and gives a gentle hold to the beard keeping it in place, although if you are anything like me, you mess your beard up within an hour by fiddling with it. Its kept my beard feeling soft and less like steel wool as it can do without care, its also a very gentle oil and hasn’t flared up my skin, if I use something that isn’t gentle then I get dry skin build up behind my ears and so I am always careful to make sure I only use products that are natural and gentle. The oil is available in the 0.5 fl oz size for $12.95 or 1 fl oz as in photo above for $21.95 or you can purchase the tin of five 0.5 fl oz bottles for $29.95 which means each bottle then only costs $7.99.